I wrote this post on Potato Chip Cookies before I realized how many others have recently posted recipes for potato chip cookies. In studying some books on food photography, cookies were an “assignment”. These have been on my mind lately and decided to make them for pictures. Oh well, here is another version that isn’t adapted from Emeril or Smitten Kitchen. Guess a good thing is hard to keep quiet! We have enjoyed these for years. So addicting and rich a small batch is all you need. These potato chip cookies are a style of shortbread. There is no salt in the recipe due to the addition of the crushed potato chips. 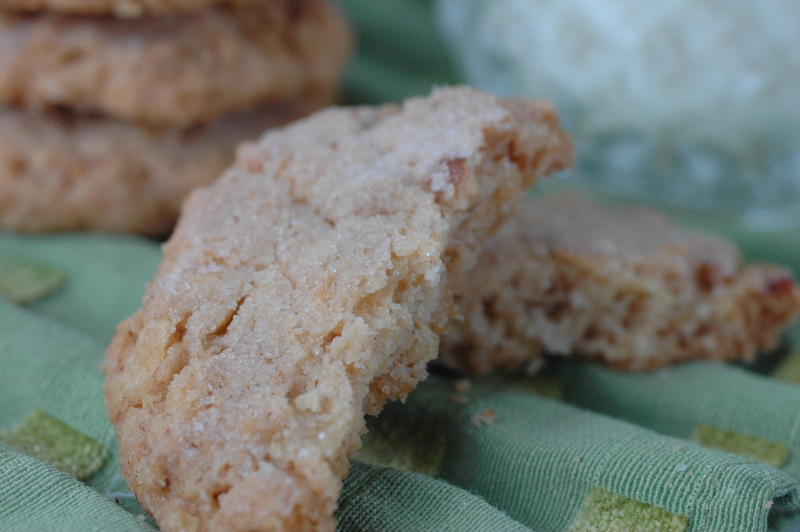 It is a simple and deliciously sweet and salty cookie. They remind me of Pecan Sandies. The use of baking powder is optional. Using it creates a meringue like texture to the cookie. Quite yummy. This recipe was discovered in Mom’s Big Book of Cookies which has many delightful cookie recipes, many of which are “kid helper” friendly. I tweaked it a little bit. If you wanted, you can add some dark chocolate chips to the mix or melt chocolate and dip half the cookie in the melted chocolate. Or perhaps use pretzels instead of potato chips. After this potato chip shortbread cookie, maybe a bacon shortbread cookie would be in order. . . just sub out minced crispy bacon for the potato chips and see what you end up with. Measure the flour, baking powder, if using, chopped nuts and crushed chips into a bowl and stir together well. Incorporate the dry mixture into the creamed butter, sugar and vanilla. Make 1 inch sized balls and place 2 inches apart on the baking sheet. Using a flat-bottomed glass of cup, flatten each ball, dipping the bottom of the glass into sugar between each cookie. Bake 10-12 minutes or until the edges of the cookies begin to turn golden brown. Cool on the baking sheet for 5 minutes before moving the cookies to a cooling rack. Serve with a tall cold glass of milk. This entry was posted in Recipes and tagged Baking powder, Butter, Flour, pecan sandies, Potato chip, potato chip cookies, Sheet pan, Shortbread, Sugar. Bookmark the permalink. Wow, this is so cool – first recipe I have seen for potato chip cookies. I encourage you to make them, they are really, really good. If you like crispy cookies that is. Dark chocolate is strongly encouraged to go in them or on them.